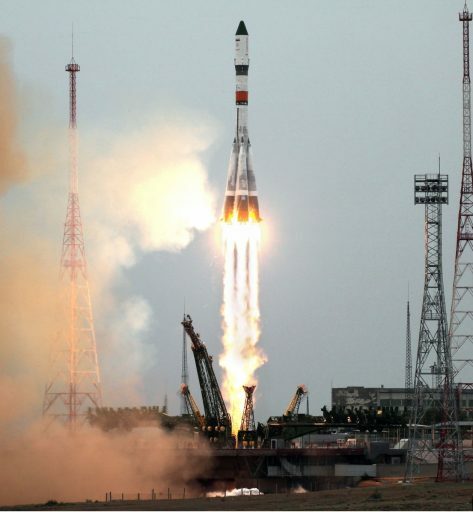 The second Russian resupply mission of 2017 took flight at 9:20:13 UTC on Wednesday atop a Soyuz 2-1A rocket blasting off from Site 31/6 at the Baikonur Cosmodrome. Taking over all Progress missions from the now-retired Soyuz U rocket, the launcher performed admirably and delivered the 7,277-Kilogram cargo ship to the intended Low Earth Orbit less than nine minutes after lifting off. The launch of Progress MS-06 was overshadowed by tragic events transpiring in the crash zone of the Soyuz rocket’s four strap-on boosters that ignited dry grass causing a spreading fire south west from the Kazakh village of Talap, 358 Kilometers from the Baikonur Launch Site. In an effort to contain the fire, one contractor was killed and one hospitalized with serious burns caused when a strong gust of wind carried the blaze toward the truck with the men. Roscosmos issued a statement detailing that weather conditions with temperatures of 34°C and wind gusts up to 15m/s were particularly conducive to fires around the crash site. The statement also confirmed earlier press reports of the two casualties with one dead and one in serious condition at Dzhezkazgan hospital. Both men were part of a detachment of NPO Mashinostroenia responsible for the clean-up at the crash site. According to Kazakh press reports, emergency services in the Karaganda region were informed of the fires from the directorate for emergency situations around two and a half hours after launch. Some three hours after launch, additional fires were reported in grasslands along the road from Dzhezkazgan to Kyzyl-Orda which had spread over an area of 15 Kilometers. 22 vehicles and over 60 personnel were called up to fight the blaze and the fire was finally suppressed in the overnight hours, around 12 hours after the boosters fell back to Earth. 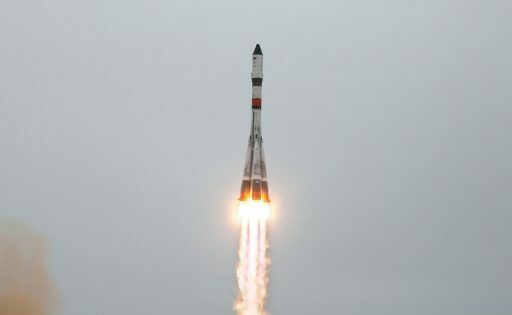 Progress MS-06 arrived in orbit eight minutes and 48 seconds after liftoff, being pushed off its Block I third stage to enter a set of pre-programmed steps to deploy its solar arrays and communications antennas and pressurize its Unified Propulsion System prior to reducing body rates. Mission Control Moscow reported Progress MS-06 entered an orbit of 193 by 241 Kilometers, inclined 51.6 degrees – confirming an on-target injection by the Soyuz 2-1A booster and its upgraded navigation system. The Progress MS-06 mission was sticking to the conventional two-day, 34-orbit rendezvous calling for a pair of engine burns on the mission’s third orbit, a fine-tuning maneuver on Thursday and the initiation of the fully automated rendezvous on Friday to link up with the Space Station in its 402 by 408-Kilometer orbit. Progress MS-06, production vehicle #436, is the 159th Progress mission in a program dating back to 1978 and the 67th Progress resupply mission to the International Space Station, the 69th counting two Progress M-SO and M-MM vehicles that delivered the Pirs and Poisk Mini-Research Modules to ISS. 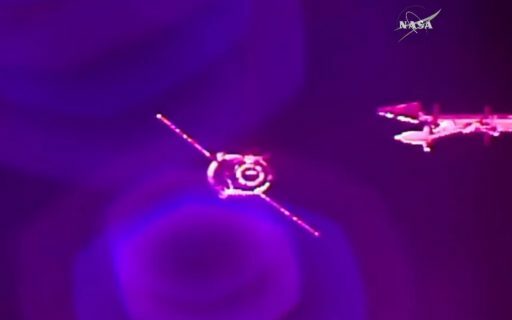 The spacecraft successfully completed its two Orbit #3 maneuvers that were intended to raise its orbit to begin the climb toward ISS, approaching the complex from behind and below. Tracking information from U.S. Space Surveillance assets showed Progress in an orbit of 300 x 322 Kilometers at noon on Thursday. A small orbital correction on Orbit #18 positioned the spacecraft for the initiation of the Automated Rendezvous Sequence at 9:19 UTC on Friday. Entering the rendezvous sequence, Progress completed the final ground-targeted burn known as DV-4 at 9:42 UTC, putting the vehicle on a trajectory into the 200-Kilometer communications zone around ISS to enter the relative navigation phase of the rendezvous guided by the KURS radio navigation system. 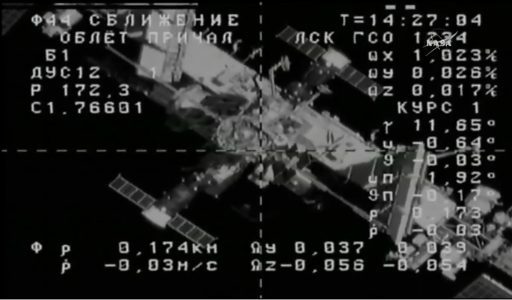 KURS-NA powered up 95 minutes ahead of the planned docking time along with its KURS-P counterpart on the Space Station to first allow the Progress to use its AO-753A phased array antenna to detect the Station’s signal and orient the Progress for pitch and Line of Sight (LOS) angle measurements. As Progress got closer, two ASF-1 antennas came into action to deliver range, range rate and angular measurements. Guided by the trusted KURS System, Progress initially aimed for a point one Kilometer from ISS to preserve the option of a passive abort, simply flying past ISS in case of a problem during rendezvous. KURS went through a pair of tests at 80 and 15 Kilometers to verify accurate navigation data was being collected. Fyodor Yurchikhin, the sole crew member on the Russian Segment, was in charge of monitoring the Progress approach and he completed a test of the TORU command link to ensure he could take over control of the spacecraft for a manual docking in case of any problems during proximity operations. Yurchikhin was backed up by NASA Astronaut Jack Fischer who joined him at the TORU monitoring station in the Zvezda module. Progress hit the brakes with a series of three impulse burns using the KTDU-80 main engine and the smaller DPO thrusters to set up for the flyaround maneuver that began at a range of around 400 meters to take the Progress around the complex to line up with the Station’s aft end. 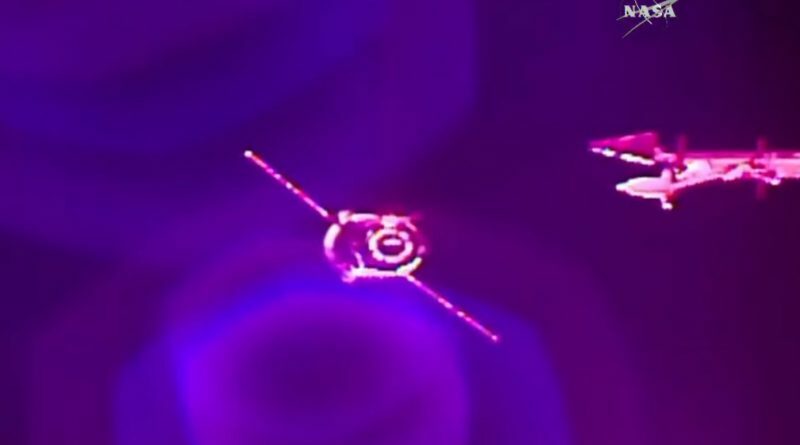 Progress MS-06 continued flying on auto pilot as it made its 110-degree flyaround, coming to a halt 175 meters from the Zvezda module for a brief period of Stationkeeping and a roll maneuver that provided proper placement of the craft’s solar arrays for the docked mission. Stationkeeping was very brief as Mission Control was satisfied with the alignment, clearing Progress for its straight-in approach to Zvezda. Pulsing its DPO thrusters, Progress initiated a closing rate of 0.8 meters per second to cover the last 175 meters to docking. 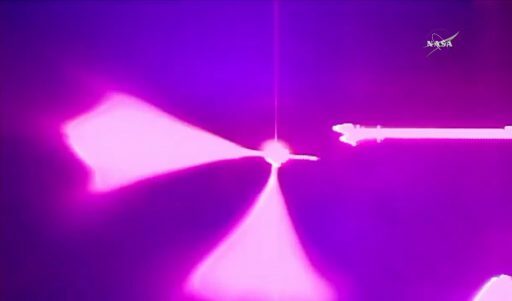 The craft slowed down as it got closer and powered up its Docking Mechanism to be ready for contact with the Service Module at a relative speed of 0.1 meter per second. 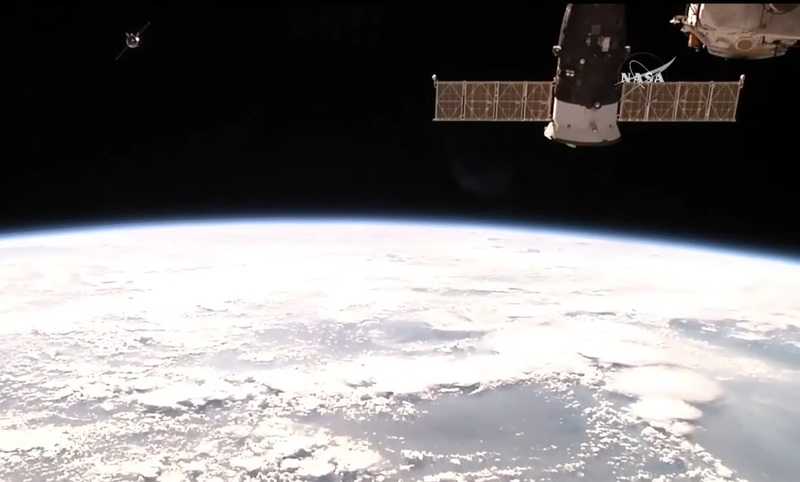 Contact and capture was confirmed at 11:37 UTC as ISS and Progress were flying 400 Kilometers over the Philippine Sea. Upon sensing contact, Progress fired up its DPO thrusters to push into the Zvezda docking cone to ensure capture latches on the Progress side engage to secure the initial coupling between the spacecraft. At the same time, ISS entered Free Drift to allow relative motion to dampen out for Progress to close its hooks and latches to form a rigid structural interface before resuming active attitude control on ISS. A hard mate between ISS and Progress was confirmed at 11:42 UTC with all hooks closed. 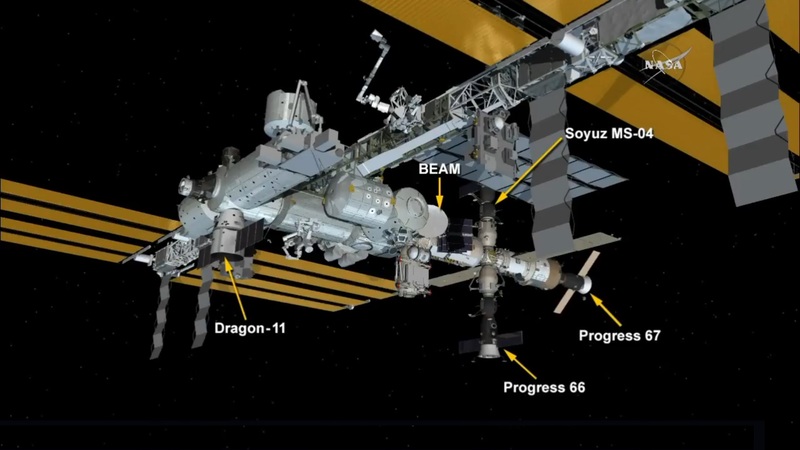 Later on Friday, Progress MS-06 will be connected to ISS power and data systems and Fyodor Yurchikhin will work through the standard leak check operation before Progress can be opened for business for its half-year stay. Zvezda had been sitting vacant since mid-October 2016 – typically it is desired to have a Progress docked to the aft of ISS as this allows for the craft to be readily called upon for reboost and debris avoidance maneuvers along the velocity vector. 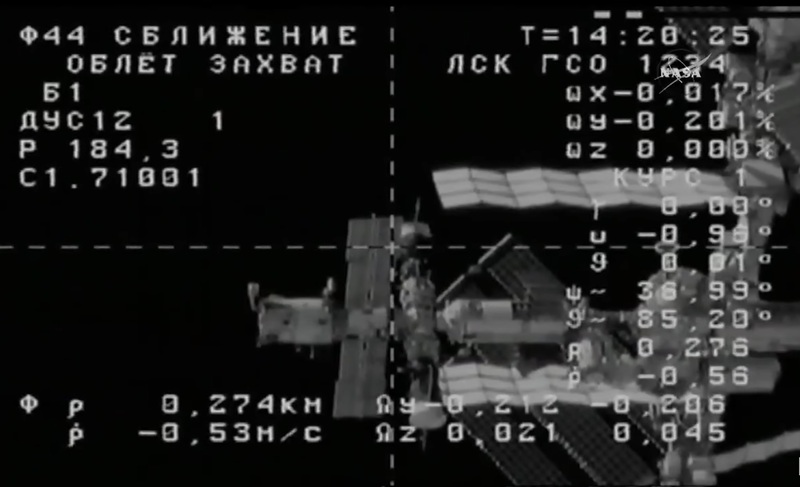 Progress MS-06 is delivering 2,560 Kilograms of cargo to the Space Station – 620kg of refueling propellant for ISS, 420kg of water, around 47kg of pressurized air and oxygen to top up the Station’s atmosphere and roughly 1.5 metric tons of dry cargo. The dry cargo is comprised of the typical mix of systems hardware for the space station, food provisions and consumables for the crew and utilization equipment such as cameras and science experiments. Progress MS-06 is booked for a stay through December 7 per the current ISS schedule and Russia plans to send one more Progress vehicle to the Station before the end of the year, currently looking at a same-day launch and docking on October 12.